Content is vital in any website or blog and making it search engine friendly will ensure your site will drive traffic onwards. 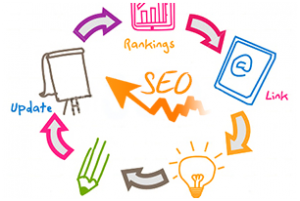 To achieve this, you don’t need to hire an SEO firm because the steps are fairly easy. You just have to take the time to learn the skills and do it on your own to save on costs. It should be noted that the results of search engine optimization do not come overnight. They can take time but if you do the steps consistently, you can be sure to obtain the results you desire at the right time. Having a blog is a great opportunity to share valuable information and increase exposure to a wider audience. But then again, SEO building should be part of your strategy if you want to improve your rankings in search engines. The keywords are key. Based on your site’s niche, you should be able to come up with words that people use to search for your blog. Consider words that best describes your brand, products or service. You will have to research about this using a free keyword tool such as Google. Just a word of caution, though, be sure to use only three keywords in one page at the most. Too little or too much is not good SEO. Do use titles, heading and subheadings. These three aspects you need to use not only on your home page but also on your blog posts as they are indexed by search engines. Make sure that you use your keywords in creating them. Do use images in your blog posts. A post that is all text can be quite boring but one with a photo can increase the interest of your readers and encourage them to read the entire post. Also, there’s a good chance that your image will appear in an image search which translates to greater exposure for your blog and articles. Include valuable links. When you include one or two links to sites that support your I smell without was is to.